Akshay Kumar and Raveena Tandon were hit jodis in the 90's. At that time they were in hot news for their hit movies as well as romantic relationship. Relationship between Akshay and Raveena did not reach the destination and now both are married and happy in their respective family life. Akshay Kumar and Raveena Tandon may not be seen together again as romantic pair in any film but it seems that the bitterness between them is now over. 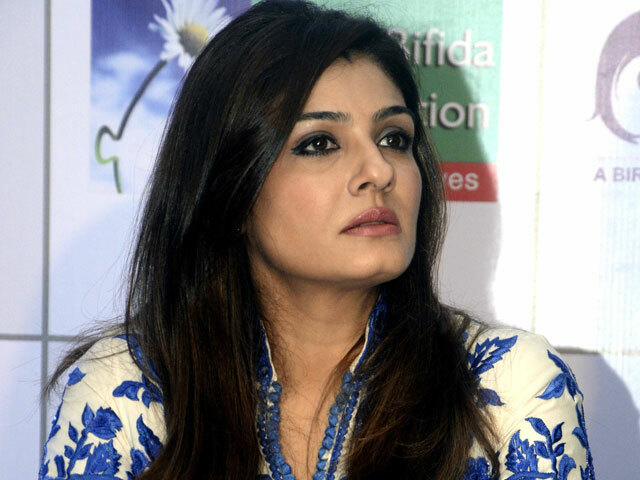 Raveena Tandon says about her experience of working with Akshay Kumar. Akshay Kumar once said that it was a great honour for him to work with Raveena and the actor admits that their number 'Tip tip barsa pani' is one of his favourite songs. Recently the same was echoed from Raveena. Raveena was asked about her experience of working with Akshay, she had the sweetest things to say about him. The 'Mast Mast' girl said that she too considers 'Tip tip barsa pani' as one of her favourites. Raveena further said that Akshay was always a thorough professional and she has learned many good things from him as an actor.